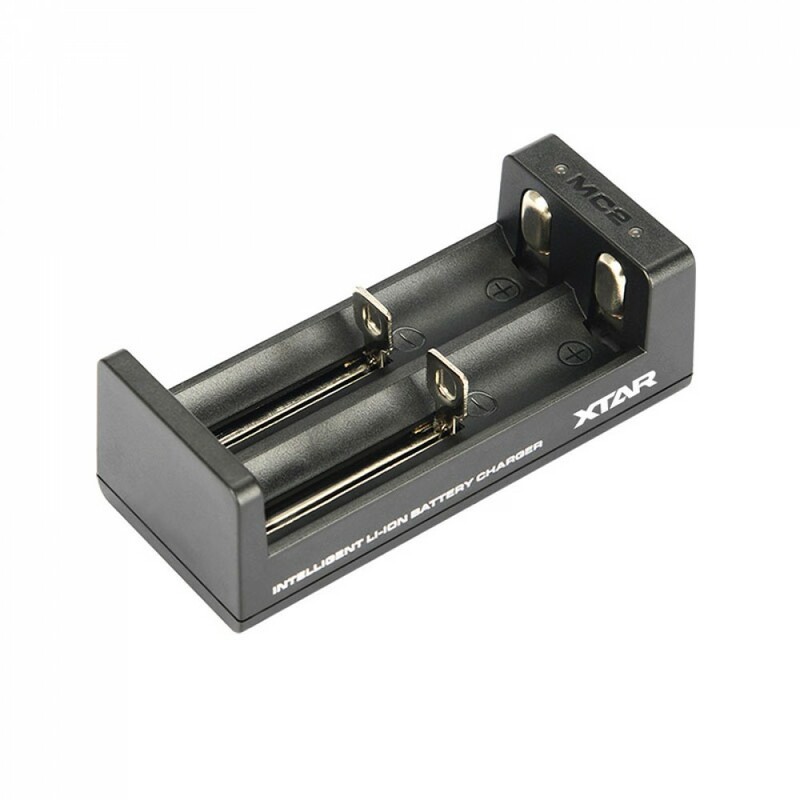 The Xtar MC2 is a lithium-ion battery charger with two charging bays. 14500, 14650, 16340, 17500, 17670, 18350, 18500, 18650, 18700, 22650 lithium-ion type batteries. 1. Charge only rechargeable 3.6/3.7 V lithium-ion batteries. 2. Charging any other types of batteries may cause them to leak rupture or explode. 3. Do not disassemble or modify any part of the charger or use as a power source. 4. Always unplug the charger from outlet before attempting maintenance or cleaning. 5. This charger should not be used by persons without adequate training or knowledge.